You must make reservations at least 5 minutes in advance of the time at Bici. Please call us to host your next private party! 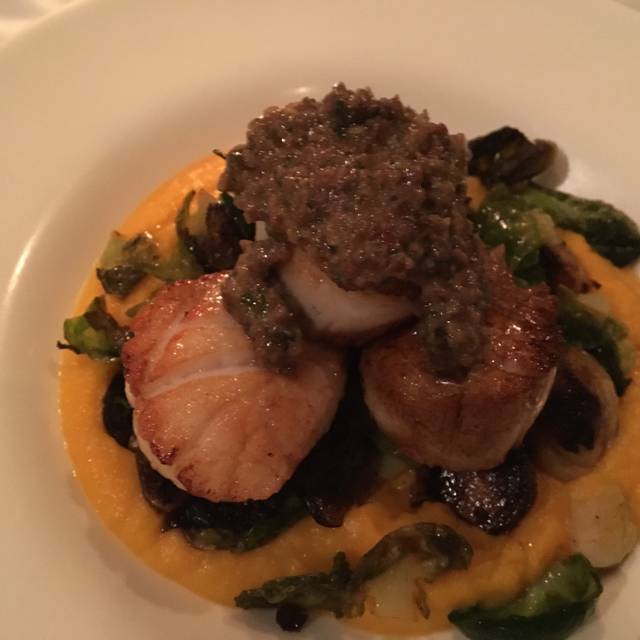 Bici Restaurant will feature a modern Italian menu and is located in the heart of Ramsey, NJ. Marcelo Gambarato and Anthony DeVanzo teamed up to give you an unforgettable dining experience. We enjoyed the variety offered with menu and specials. Service is very attentive and professional. The food, the service and everything about Bici is outstanding. Truly a wonderful experience every time to dine here. Excellent as always. No better host than Marcelo ! Everything at Bici was delicious. Staff was wonderful. I would only like to see a little more choices on the menu. What a great spot with a diverse menu and even a lunch prefixe. Service was impeccable and their homemade dip for the bread was so yummy and fresh! Love this restaurant so much! The service and food are always impeccable and superb. I have never had a dish I didn't love and always recommend Bici to all family and friends. The waiter was friendly, knowledgeable (we asked a lot of questions), and attentive. The meatballs and calamari appetizers were outstanding and my friends loved the skate and salmon. I had the short ribs which were okay. They had a little too much sauce for my liking, but were very tasty. Definitely worth going back to and the fact it's a byob is even better. Amazing food and service as always! Love Bici! I called a week ahead of time to ask how birthdays are handled. Was told a dessert with candle was provided for the birthday person. NOT. We were told we had to pay for the birthday treat. All restaurants provide this complimentary. Very cheap on the part of the restaurant. The prices were high and the food not that great. Totally ruined a 40th birthday celebration that we traveled 1000 miles for. Will never return to this place as there are lots better places in Bergen County. Delicious food, professional staff, beautiful ambiance. Only downside couldn't be helped - one long table of overly loud diners (at least 10) adjacent to ours made our table conversation difficult. Perhaps a limit on large parties during prime dining hours on weekends? Other than that, loved it!!! Charming host as well. Marcello is always a welcoming host and makes you feel appreciated. Ray is a terrific server. He is efficient and just the right amount of attention. The food is reliably good. This night, the cioppino was delicious. The sauce was hearty and tasteful. The duck fabulous and the bacon fig sauce wonderful. We are never disappointed at Bici. Food was excellent! Highly recommend! Ray was an attentive waiter and made our dining experience really nice. It’s always a pleasure seeing Marcelo!! This is our second visit and we enjoyed it a lot more. The risotto was close to perfection, their beef short ribs over polenta presented in a stew like bowl finger licking good but the salads are nothing special. 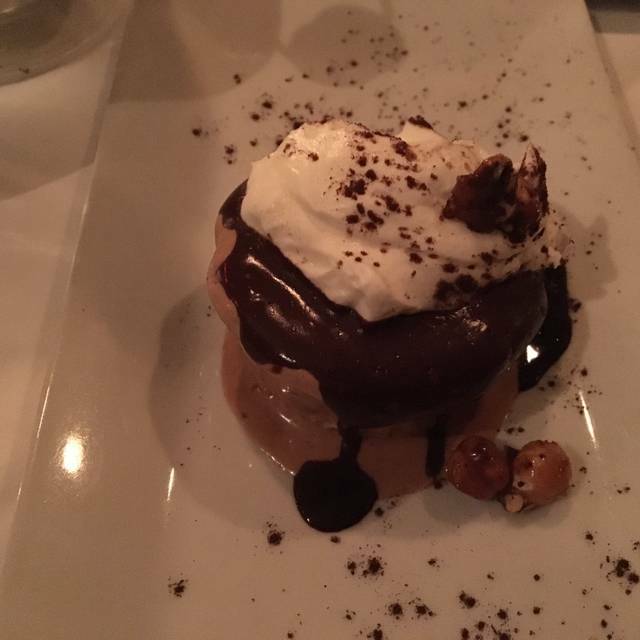 The only disappointment this time was the tiramisu desert. The food was good and so was the ambiance! Owner is super friendly and nice and takes the time out to greet mos of his guests if he can ..would recommend it to try it for yourself for a nice dinner out! Food was good. The duck was cooked perfectly and the salads were delicious. The owner was very friendly and visited each of the tables to greet his guests. But, I don’t think I would recommend bringing a group here. We had a party of 5 and there weren’t many shareable appetizers for the table to choose from. The restaurant is also very loud and it was difficult to have a conversation at our table. But definitely a good option for date night. We absolutely loved BiCi. The hospitality, decor & service and food were all outstanding. It’s located on a sweet little Main Street in between Newark airport and Albany where we were headed after flying in from an international trip. It was a blessing to be received so graciously! we want to come back and also visit the Nyack location. A bit pricey but the food was excellent! The noise level is fairly loud. Great local BYOB. Service was great. Everything we ate was very good! Exceptional! Service, food...everything was truly outstanding. Can't wait to go back! Such an unexpected surprise. Our first time here, and we will absolutely be back. Everything was AMAZING. Such a hidden little gem in Ramsey. Amazing Sunday dinner and service. We will definitely be back... again and again! Best dinner spot in Ramsey,NJ. BYOB, very well prepared food, meat, fish, pasta. There’s a little something for everyone. Incredibly friendly service, a must go! since we have lived in town for 30 years now, it is so nice to travel one mile for a decent meal. The lump crab meat was very tasty, could have used more lump crab. My pasta with lamb meat sauce was very good and the black sea bass was delicious. Bici is outstanding. Delicious well prepared foods. Excellent choices. Superb specials. Nice to have a BYOB with such fine service, attentive staff, friendly atmosphere and absolutely delicious food choices! Worth the drive. Bici is a very nice small restaurant. The food is good to very good. The service is usually excellent; however, this time our waiter was boring! What a wonderful dining experience the atmosphere is subdued and sophisticated. Our server Chris could not be better he was just what we needed and he let us take our time we didn't feel rushed. The food was outstanding I had the short ribs fall off the bone tender and the the beet salad was absolutely unbelievable with warm goat cheese! We will return and love the fact its BYOB! Simply outstanding best sums it up. The attention to every detail is evident from the time you enter the restaurant. Even the smallest, usually ignored, elements that distinguish a truly great restaurant from just a good one are attended to here. Excellent service; BYOB (which I prefer) is a plus and helps deflate the overall cost. Outstanding entries and perfectly prepared risotto dishes were very tasty. Same with the homemade dessert. Will be back soon and often. A rare find in Bergen county and I have eaten at them all. Superb customer service, owner goes above and beyond to make his customers feel welcome. The food is so delicious....clearly a winner of a restaurant in Ramsey. Lunch was perfect. The appetizers were outstanding. Wait staff was attentive. Looking forward to out next visit! Wonderful waiter Ray was very friendly and helpful. Food was AMAZING as usual!!! Great Food and ambiance! By luck, we were seated with friends and then met other nice people! A Special Valentines Evening Adventure!